Livro Aberto is a literacy organization opening books and doors for children in Mozambique. Livro Aberto provides not only books, but expert literacy workshops modeling and supporting the skills requisite for success in reading and writing. It has been demonstrated that most Mozambican children have limited access to reading materials and literacy role models within their homes. Most Mozambican children are challenged by speaking a home language that is different to the language of school. This creates a situation in which children are expected to learn academic concepts and to read and to write, through a language that they are not proficient in. Livro Aberto serves to overcome these barriers, and ultimately foster a culture of reading, by providing access to quality literacy models, materials, and learning experiences in multiple languages. Livro Aberto aims to bring empowerment and enjoyment through literacy to children throughout the country, through a community library, mobile libraries, and language/literacy support. We believe that books, and the empowerment and enjoyment that comes through literacy, should be a part of everyone's world. Our vision is of a reading culture in Mozambique, where all children have access to the skills and resources to successfully gain enjoyment and strength through literacy. Therefore, our goal is to bring literacy workshops and library experiences to children from all cultures, environments, and language/literacy levels living in Mozambique. Furthermore, we believe that by enabling adults to read, the culture for reading within homes will grow. Adults that are empowered through literacy encourage their children to learn and learn to read; breaking the cycle of poverty that illiteracy perpetuates. For these reasons, the provision of adult language and literacy courses accessible to Mozambican adults, especially women, is a key part of Livro Aberto's mission. We, at Livro Aberto, have the vision, expertise, tools and community support to enable the children and adults in Mozambique to access books and empowerment through literacy. Livro Aberto is a Mozambican registered non-profit children's library and literacy organization. Livro Aberto was founded in Mozambique in 2007 by an association of people local to or living long-term in Mozambique. The founders bring well over 25 years of experience in literacy education and library sciences. Livro Aberto team has worked with locally employed teachers and librarians, to develop and deliver culturally and linguistically appropriate educational experiences for children. Commencing with a course of pilot programs in collaboration with local community leaders, parents, orphanages and childcare centers; Livro Aberto established that the need, demand and the support for literacy outreach programs existed in Mozambique. The pilot project also demonstrated the feasibility in adapting internationally recognized teaching methodologies, to rural and urban mobile library settings in Mozambique. 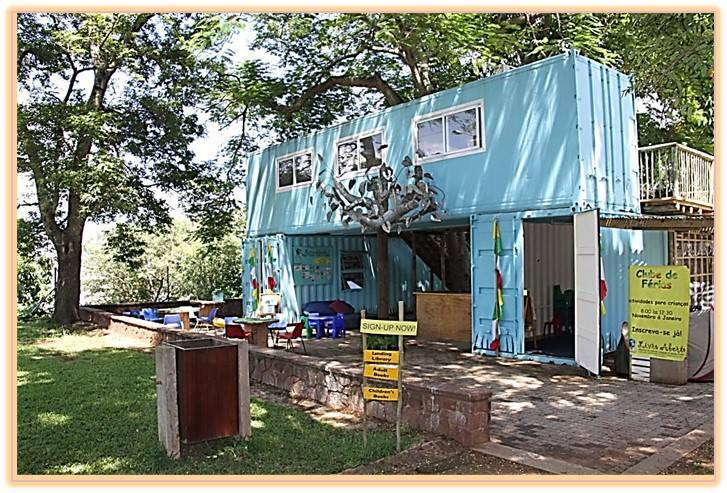 The completely mobile classroom and library, developed by Livro Aberto was successfully piloted in low income communities, orphanages and rural childcare centers. Through these experiences literacy programming, art, and theatre workshops were prepared; tested; and proven effective in bringing stories alive for children, while developing their skills in reading and writing. It was also clearly established that by including water and a small nutritious snack of peanuts within the sessions, children's concentration and engagement levels were enhanced. Since 2007, Livro Aberto has been working hard to improve literacy skills and to foster a joy of books through mobile libraries, creative workshops, and educational activities within communities surrounding Maputo and in Jardim dos Professores. We believe that children learn best through hands-on experiences with print materials. We use recycled materials to make sustainable, educational resources and books with children; resources that the children can take home to practice with family members. Our Community Library Program model, our recycled materials resource strategies and our trained team of expert Mozambican community literacy teachers and librarians (and volunteers from around the globe) have made it possible to document a portfolio of literacy outreach achievements across Maputo and the surrounding bairros. Livro Aberto's use of recycled materials to develop educational resources and the emphasis on teacher and community adult training, addresses barriers to literacy in a sustainable way; empowering both adults and children, and providing programs that deliver lasting change. Since 2007, Livro Aberto's Community Library Programs were based originally out of a founding member's apartment. A year ago, Livro Aberto opened the Livro Aberto's Biblioteca de Crianças, Language and Literacy Center in a public garden in Maputo, Jardim dos Professores, next to the Natural History Museum and the Cardoso Hotel. This location is ideal for families and children of Maputo across all socio-economic levels; due to its convenient location, excellent park facilities, and a popular café. There is a large government secondary school located across the street, and 5 government and private primary schools located within three blocks of the Livro Aberto Library. There are 3 universities/technical schools within a short walking distance to the Livro Aberto Library. Finally, there is a large transportation hub for Maputo located a half a block away. Most importantly, this location provides Livro Aberto with the opportunity to attract more new families, reach more students and children with our free access to books, literacy models, print media, and free educational activities in the garden. In addition, the library offers a means to raise support for our community activities; further securing the sustainability of Livro Aberto's literacy outreach. Livro Aberto's city based public Library is the epicenter for all Livro Aberto activities: literacy outreach, Community Library Programming, donated book/resource distribution to other programs and libraries, fundraising initiatives and Associação Livro Aberto. Staffed with trained community literacy teachers and librarians, this bilingual Library is designed to create an empowering environment for children to not only access books but to be supported in reading and understanding them. Adults can enjoy an enticing selection of novels and non-fiction books; including an array of topics for families and guide books for traveling in Africa and beyond. Adults, children and families can read in the Library or garden for free; or based on a sliding fee scale, can become members and check books out to enjoy within the comforts of their home. The Livro Aberto book collection includes a plethora of both Portuguese and English language books, from toddler to academic reading levels. · Free access to books read in the Library and garden by well over 50 children, students, adults and families on a weekly basis. · Over 56 local and expat members to the Library, borrowing up to 20 books to take home at a time. · Unsolicited, eight government school groups visited the Livro Aberto Biblioteca de Crianças, Language and Literacy Center in 2015, including well over 400 children who now know how and where to access a library, books and literacy models. Both government and private schools and teachers are valuing the Library opportunities and making it possible for their students to experience Livro Aberto. · Three private schools participated in literacy programing with Livro Aberto including drama, art & literacy activities, Read Alouds and Self-Directed Reading activities in the Library and garden. Totaling well over 150 children and teachers participating. · Over 300 children and adults joined in our annual June 1st Children's Day Fair participating in engaging literacy activities, recycled materials art activities, community cultural exhibitions and games. Well over hundred and fifty community children participated for free (with Livro Aberto securing transport and snacks), Those families that had the means to pay for the event bought tickets that helped to raise funds for Livro Aberto's Community Library Programs. · Livro Aberto provided free "Literacy in the Park" activities every second Saturday of each month. · Through fee paying memberships and courses at the Library, Livro Aberto raised the funds to support the salaries of two Mozambican, community literacy teachers; moving Livro Aberto closer to achieving sustainability in our community literacy outreach and programming. The Library offers fee paying English language and literacy workshops open to all children and adults, including sessions tailored for children learning English and/or learning to read and write. It also serves children and adults through our current Moms, Nannies & Tots morning developmental programming. Once Livro Aberto has achieved sustainability, we aim to begin to offer these programs for free to low income Mozambican families. The Livro Aberto Biblioteca de Crianças, Language and Literacy Center is working hard to offer new community outreach and fee-based programs in 2016 including: afterschool programming, Holiday Club programming, and a youth technology center to be open daily. During the past 8 years, Livro Aberto has worked directly with Mozambican schools, communities and orphanages. Our community programs form the heart of Livro Aberto. Our model for fun and interactive learning is the basis for all Livro Aberto's activities. In 2014, Livro Aberto provided community literacy outreach 3 days a week to 3 distinct groups of children (well over 150 children) in bairros: Mafalala and Triunfo/Costa do Sol. For each session, three Livro Aberto community literacy teachers transport water, peanuts, books, shade, tarps and materials to each Community Library Program. Our Community Library Programs are thematically based upon a book or books, with direct and interactive teaching of vocabulary and concepts based on the theme; while modelling literacy skills crucial for budding readers. After a "circle time" of songs, calendar, and a Read Aloud, children are broken into 3 smaller age level groups for developmentally appropriate literacy activities based on the theme. From toddler to teenager groups, each group extends the ideas and learning gleaned from the story at supportive, yet challenging levels. Livro Aberto focuses on teaching children to think about, write about, read about and talk about what they are learning. The Livro Aberto model for a Community Library Program is based on evidenced based practices from around the world. Our model has proven that with: educational, fun, interactive, and consistent Community Library Programs with books and literacy models that are easily accessible to children and at their language abilities; children achieve a foundation for learning to read and write. Through simple literacy screening methods, Livro Aberto has documented that children who consistently attend the Livro Aberto Community Library Program show gains in pre-literacy and literacy skills. However, the greatest evidence for our successes includes the fact that, independently, the children choose to come regularly to our programs (even during the holidays), to sit and read with friends, and to read and write within our interactive activities; while peers in the same neighborhood are playing soccer or playing on the beach. The majority of the children in our Triunfo program have been attending the Livro Aberto Community Library Programs regularly for more than three years; most of the older children have been in attendance weekly since our pilot project in 2007. Evidence is also apparent in showing that children who regularly attend our programs start grade one with knowing the letter names, the letter sounds for most letters, how to read and write their names, counting, and basic numeracy skills… not to mention the abundance of Portuguese vocabulary and conceptual skills that each child has gained from our thematic programming. In contrast, during Livro Aberto's three years of experience working in government schools in Mafalala with Grade 1 students, the majority of first graders (ages 6-8) are leaving first grade without knowing: the letter names, they have no concept that letters have individual sounds, nor how to read and write their names, and they have limited numeracy skills. Due to funding challenges in 2015 associated with the opening of our new Library and literacy center in Jardim dos Professores, Livro Aberto has had to pause services for two of the three days of community outreach in Mafalala and Triunfo. Livro Aberto is currently providing two Community Library Programs in Bairro Triunfo with over 70 children ages 2 to 16 years old; and literacy modelling with the children that visit the Library in Jardim dos Professores on a daily basis. The Livro Aberto team of staff and volunteers start at 7:30 and end the last program at 2:00, providing a comprehensive literacy outreach program and a lending library for the Bairro Triunfo children. The Livro Aberto team has prepared and shared our model for Community Library Programs (including literacy modelling, instruction and fun) to over 50 community libraries across Mozambique from 2013-2015, as a partner with Peace Corps Mozambique. Livro Aberto provided hands-on training in the planning and implementation of Community Library Programs, the strategies for positive modelling of the developmental skills crucial for learning to read, and for creating low to no cost educational materials from recycled materials to key community adults within those communities. 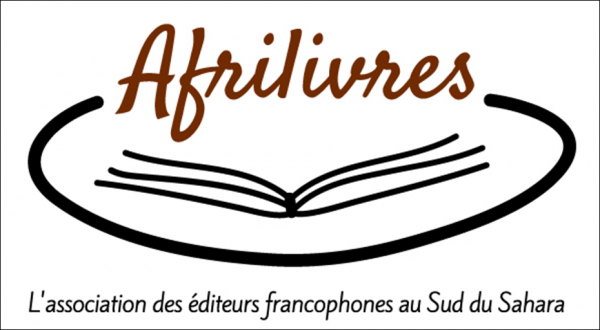 Through book publishing activities with children, Livro Aberto is creating series of Mozambican children's books that are culturally and linguistically relevant for children living in and learning to read in Mozambique. These books are in free-to-access libraries in 6 Mozambican provinces. As new book series continue to be developed, they will further expand their reach across Mozambique bringing the joy of reading to children whose access to high interest/low level language books with cultural relevance has been limited to date. Livro Aberto's first series included 13 different titles authored by children detailing the occupations that they dream to be when they grow up. After a job experience for a day, each child used pictures from the experience and created text to account for the responsibilities of their dream profession and what kind of schooling is requisite to become that professional. From empregada (housekeeper) and pilot to policewoman, each child documented from their perspective the importance of reading and writing as a means for employment and future successes for peers across Mozambique to read. Livro Aberto's second book series included 13 important cultural, historical and fun places to visit in Maputo. The community children shared an outing with a peer from another school to visit the location of their choice and then co-authored a story detailing their adventures. From chocolate factory and the Livro Aberto Library to the Fortaleza (an historical fort) and the historical train station, each of the 13 books celebrated important places for Mozambicans in the capitol city of Maputo. Our inclusive approach recognizes the value of opening books for all children. Our mission is to ensure that specialist literacy workshops are accessible to children across all walks of life; through the delivery of workshops not only to children in the out-reach programs but also to children enrolled on fee paying courses at Livro Aberto's city center Library, Language & Literacy Center. In this way, helping one child enables us to support the reading skills development of another. This mission and two strand model of outreach has sustainability at its core, with one program supporting the delivery of the other.